Here’s a great idea for your next woodworking project! The Patriot Guard Riders of New York, members of the 1/4 million-strong national PRG, honors United States military veterans. 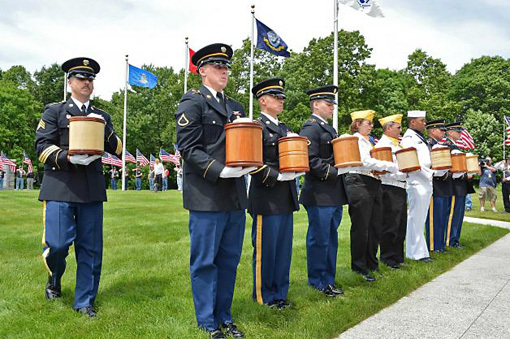 One of their efforts, the Veteran Recovery Program, has as its mission to identify and honorably inter the unclaimed cremated remains of veterans. 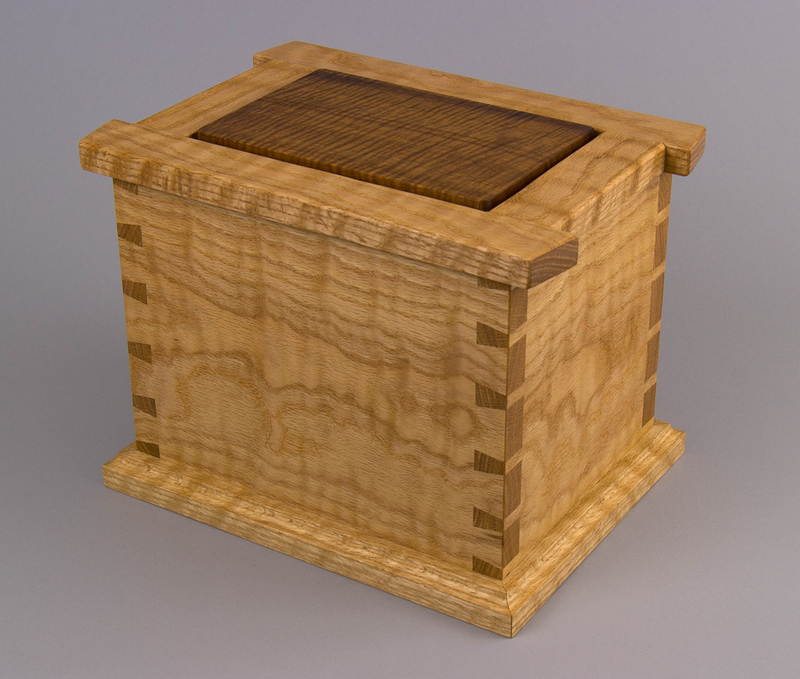 The Northeastern Woodworker’s Association, based in the Saratoga Springs, NY area, contributes to this effort with some of its members crafting superb wooden urns to contain cremains. They have been aided by generous donations of lumber from Downes and Reader Lumber and Leonard Lumber, suppliers to Curtis Lumber. I learned of this program when I visited the PRGNY’s booth at this year’s fabulous NWA Annual Showcase in Saratoga Springs. As a woodworker, and especially as an American, I was honored to participate by building the urn pictured below and shipping it to the program. Heartwood readers, here is an opportunity to step up and use your woodworking skills and creativity for a great and honorable cause. 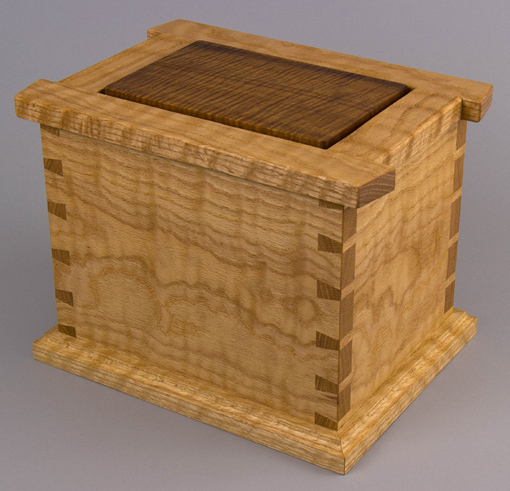 The urn can be made in any shape, design, wood, and finish to yield an interior volume of 230 cubic inches. Urns have a fixed top panel but are filled via a removable bottom panel fastened with screws. A small plaque with the name of the veteran will be placed on the urn. 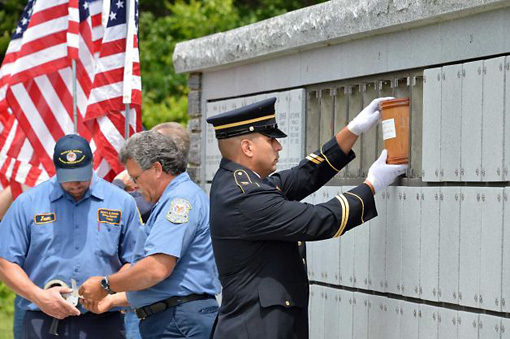 The urn you build will be permantly placed, in ceremony, in a sealed inscribed compartment 10″ wide by 14″ high by 18″ deep that holds two urns, in an outdoor columbarium. Contact Bill Schaaf, the coordinator of the program for the PRGNY, for more details and to arrange shipping your completed urn. Your work will surely be deeply appreciated. So what is the size of the rectangular urn above 10 wide, 9 deep, 14 high ? The requirements are an interior volume of 230 cubic inches and overall outside dimensions to occupy less than half of the floor space of the compartment as described above. The urn I made has a total outside width of about 9 3/8″ and the height and depth are, as you can see, less than that. Feel free to work out the dimensions to your liking within the requirements. The NWA members made beautiful coopered, turned urns. Thanks for considering the project. What a great effort to honor these deserving Veterans. 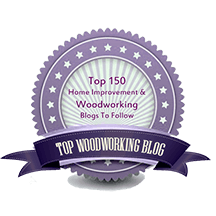 I know the St. Petersburg Woodcrafting Guild does similar work, so if anyone is looking for a more “local” effort it might be worth contacting your local woodworking or woodturning clubs.